ALSIP, IL – Corrosion prevention specialist and global manufacturer Daubert Cromwell introduces Clear Pak BIO corrosion inhibitor (VCI) film, an effective and environmentally safe protective packaging film for industry. 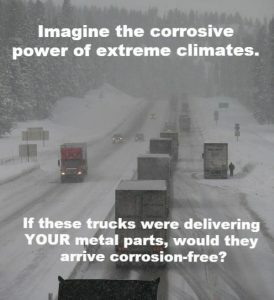 Clear Pak BIO uses proprietary, plant-based corrosion inhibitor chemistry proven effective for protecting valuable metal components during storage and shipment. Independent lab testing shows that the heat-sealable, recyclable film excels in rigorous testing to international standards, including German product health and safety regulation TRGS 615. Clear Pak BIO is designed to prevent corrosion on ferrous metals, using advanced VCI chemistry derived from plant extracts that are nitrite-free, amine-free, and non-toxic. 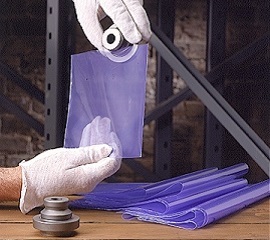 The flexible, puncture and tear resistant film is tinted a unique shade of purple to identify it as a quality product of Daubert Cromwell. 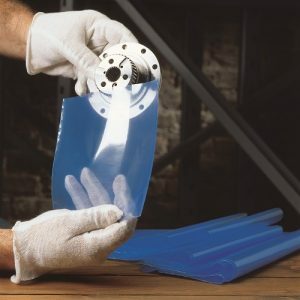 Clear Pak BIO is compatible with the company’s entire line of VCI packaging papers, films, foams, emitters and devices, and rust preventive liquids. For complete information call +1-708-293-7750; 800-535-3535, or e-mail info@daubertcromwell.com. ALSIP, IL USA– Daubert Cromwell, a global manufacturer of corrosion inhibitors and protective packaging for industry, recently announced its expansion into Brazil. Daubert do Brasil, Ltda. (Daubert Brasil), is based in Limeira – SP, and manufactures, markets and sells the company’s complete line of proprietary corrosion inhibitor packaging and rust preventive liquids. Daubert Brasil is the latest move by Daubert Cromwell, LLC to make its products available to its global customers more efficiently by manufacturing locally and providing more direct technical support. Daubert Cromwell is headquartered in Alsip, Illinois, near Chicago. It has other manufacturing sites in China, Slovakia, and India, as well as offices in Germany, Belgium, and Mexico. Daubert Brasil will manufacture and sell the company’s globally tested and accepted brands of volatile corrosion inhibitor (VCI) paper and poly packaging, as well as devices and rust preventive liquids. “Opening Daubert Brasil is the natural next step in our growth and evolution as the leader in the field of VCI packaging and corrosion prevention,” Simpson said. Daubert Brasil is led by Jose Carlos Botecchi. Botecchi is an experienced manufacturing executive with a long history in packaging in Brazil and a strong background in VCI technology. He oversees all technical and manufacturing aspects of the operation in Limeira – SP as well as manages sales for Daubert Brasil along with his Brazilian team. Ana Kammarman is the South America Sales and Business Development Manager for Daubert Cromwell. She has a strong business background, is fluent in Portuguese, Spanish and English. She will work out of the offices in São Paulo as well as Daubert Cromwell’s corporate headquarters in Illinois. Amount of volatile corrosion inhibitors on the paper or in the film. Natural, neutral kraft paper or polyethylene film used as the carrier for the VCI. Not all VCIs are created equal and often, one VCI formulation that works under one set of conditions will not work under another. 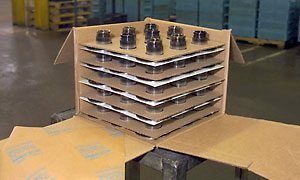 One has to take into account all aspects of the process, metals composition, packaging, storage and shipping conditions in order to select the right packaging media and VCI formulation. A large number of combinations are available from Daubert Cromwell and chances are we have one that will be effective in any specific application. To learn more about packaging your products with Daubert Cromwell, please view our Packaging Design Criteria file.